As a Canadian, I had never heard of this until I started doing research on unique things to eat in Toronto. Despite its name, the sandwich does not have a single pea in sight much to my relief. Instead, peameal bacon is cured pork loin that has been rolled in cornmeal (traditionally in yellow peas hence its name) before being sliced and grilled. 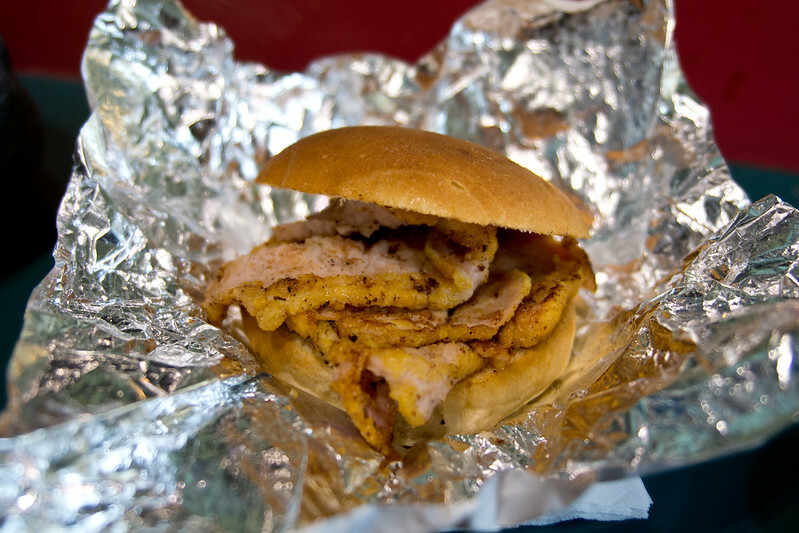 Thrown into a bun and you have yourself a peameal bacon sandwich. Instead of thin crisp pieces of bacon that you’re biting into, its thicker slabs of salty, porky goodness. It’s probably the overwhelming flavour of pork and salt that made me fall in love at first bite. I’m such a salt fiend. Now if only these sandwich would make its way to the west coast. Yes, you read that right. Meat. Cones. 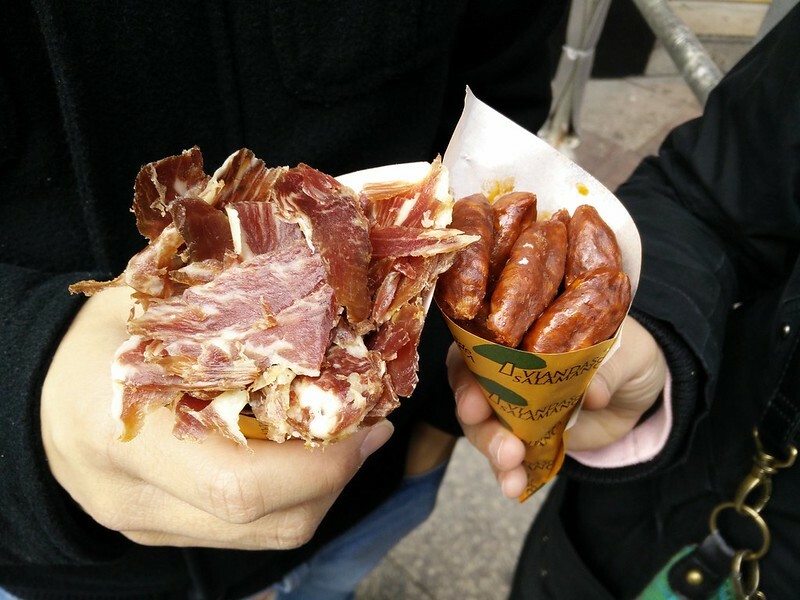 To further prove my adoring love for pork and salt, these meat cones I picked up in Madrid were heaven. Who wouldn’t want to be wandering around the city with one of these cones in hand? These came from a shop right at the centre of the city and came highly recommended by a Spanish friend who lived there. I only wish I had more time in Madrid so I could try all the varieties they had available. The churros of Spain are nothing like the churros that I grew up with in North America. Forget the cinnamon sugary mess that comes with an order of these. 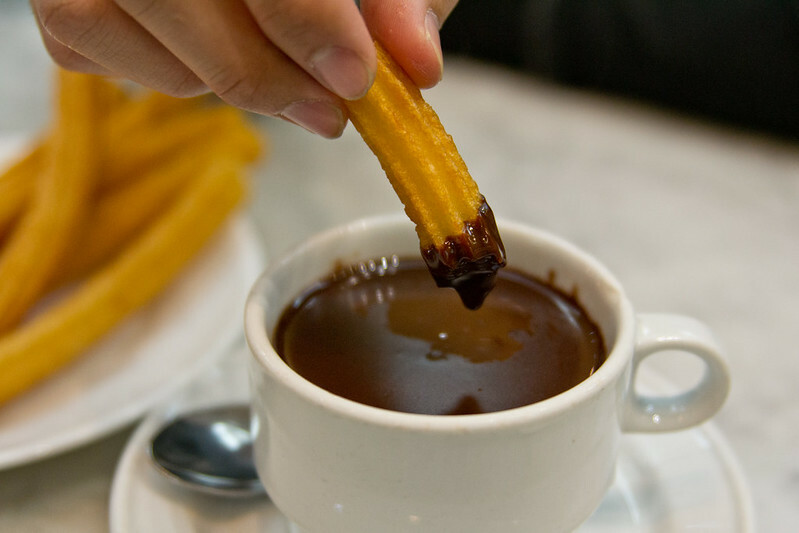 Instead, at this 24-hour shop that specializes in churros in Madrid, the churros are crisp, dense and freshly fried. It comes with a cup of thick chocolate to dip in. Give me a vat of that, it was amazing. While sweet, it’s not overwhelming and I enjoyed the balance of the savoury churro against the sweet chocolate. One of the best things about having friends all over the place is getting to try places I wouldn’t otherwise walk into myself. This was one of those places. When we opened the door, I wasn’t sure that we would be able to get in, much less find a table. What I didn’t know is that if you duck under the bar, you can find a back room (equally as packed), where we were able to find a small bit of wall to perch around. I love Spanish omelette and the one I had here was amazing. Hands down the best one I’ve ever had. I also tried another speciality, a tripe stew, which was quite tasty and reminded me of a Chinese dish I typically order during dim sum. I’ve heard about these berries long before I tried them. I had always been a bit apprehensive of buying some, but when a friend purchased some off Amazon, I was game. 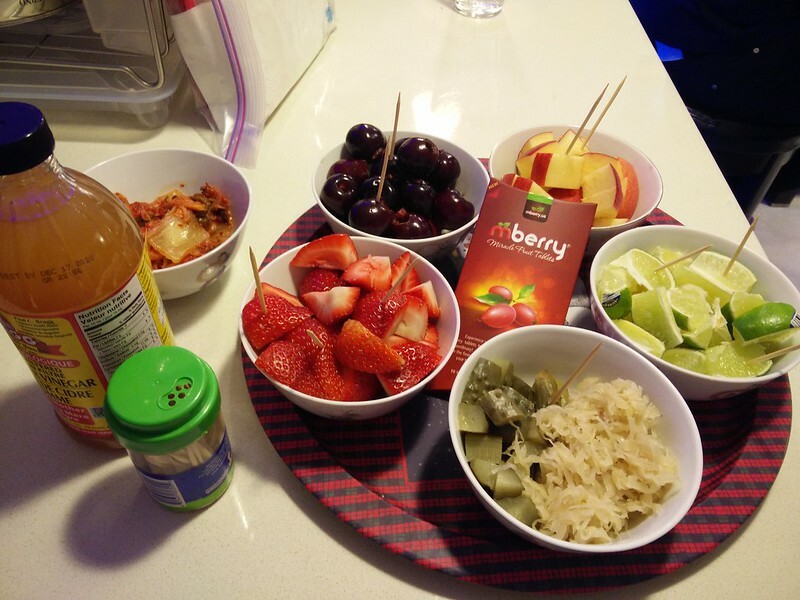 Miracle berries, when consumed, turn sour foods into sweet treats. The tablet is a bit chalky, but once it has dissolved, you’re good to go. While it didn’t make sweet foods any sweeter, it definitely turned those lemon and lime slices like you’re biting into the sweetest orange possible. The effect lasts about 20 minutes before a wears off, but it’s a fun activity to try once. Having visited Spain earlier this year, I was especially excited to try out this take on Spanish food. 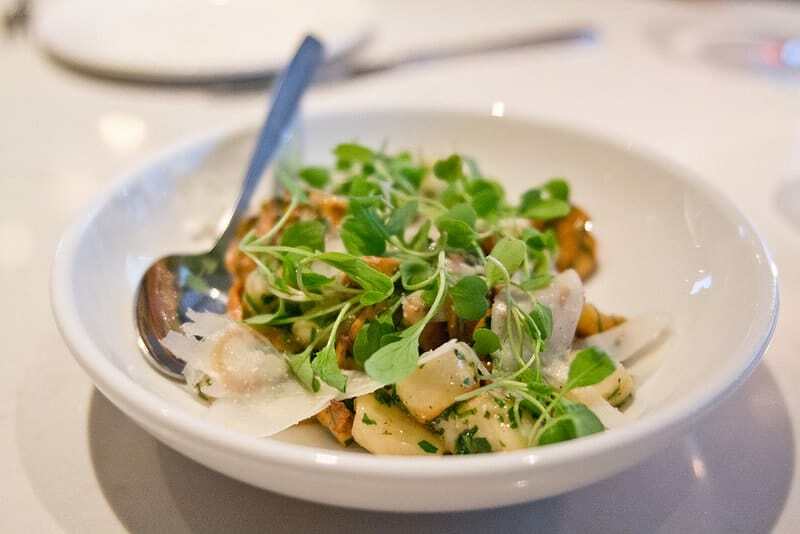 On the menu, there were classic tapas like patatas bravas and jamon, but also a selection of contemporary dishes made with some Spanish influence. The whole meal was full of fresh, local ingredients and was incredibly tasty. 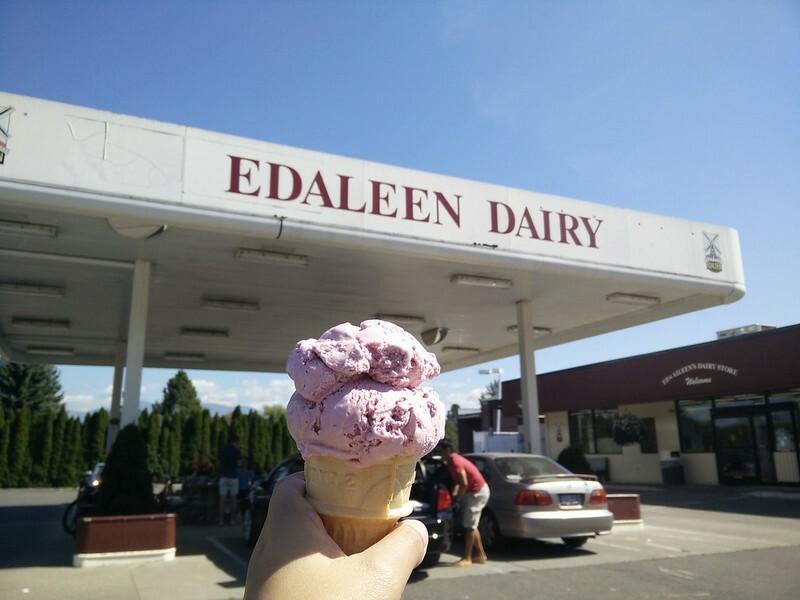 Just across the border in Washington State, I found the most amazing ice cream place. The kid’s scoop (if this is kid’s size, I’d hate to see what a large is!) of the blackberry ice cream was so full of berry flavour, very creamy and surprisingly light. No wonder people bring this stuff back across the border! It’s become an instant favourite in my house. When we pulled up to La Fondita I was a bit skeptical. Empty parking lot. Empty restaurant. The outside looked a bit sketchy, but my belief in the good reviews on numerous sites and knowledge that often hole in the wall joints offer the best food, kept me undeterred. 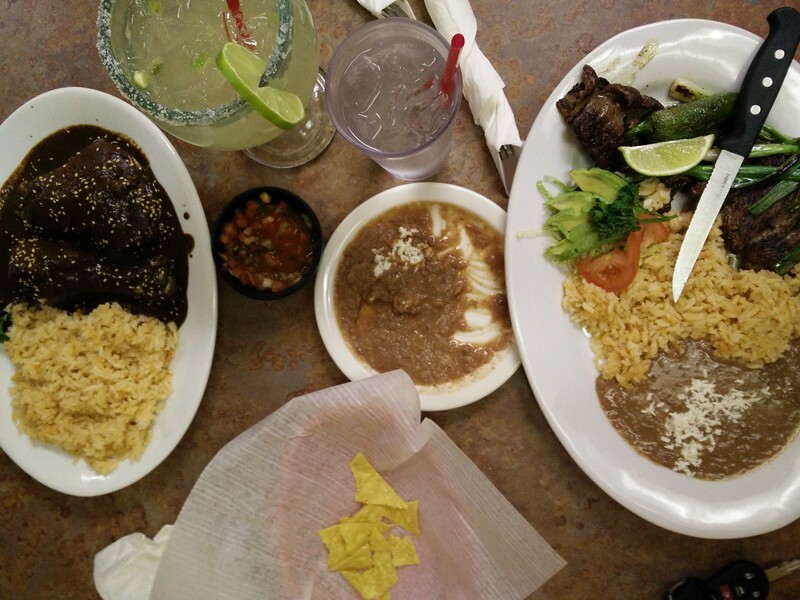 Soon after we had placed our order for chicken mole and carne asada, the restaurant started to fill up and all my unease lessened. By the time we left, not a table was empty. First to arrive at the table were our chips, salsa and refried beans. Then our plates of food came, piled high. I keep forgetting about portion sizes in the States are so much larger. The chicken mole was fiery hot. Too spicy for me, but my other half loved it. I picked the carne asada. The beef was well seasoned with lots of flavour. There isn’t an abundance of good Mexican food in Vancouver so this was a delicious find. After a weekend of eating terrible food down the coast of Oregon filled with lots of fried and oily meals, we were eager to try something lighter and healthier. My friend who lives in Portland suggested this place as one of her favourites in the city. We were not disappointed. My vegetarian scramble was full of vegetables and tasted so good. I can never cook kale as good as they managed it. The neighbourhood that the restaurant is in was also cute and had lots of tempting food options worth exploring the next time I’m in Portland. For my boyfriend’s birthday, I treated him to an omakase dinner at a local sushi restaurant. 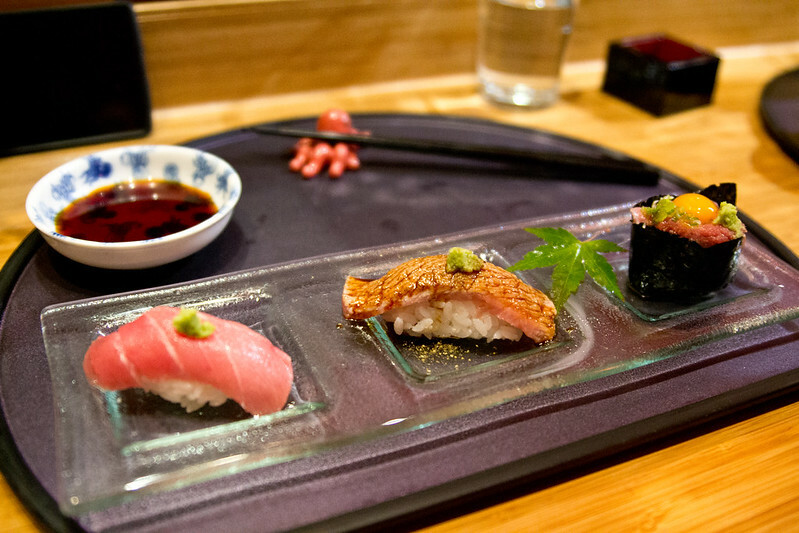 Omakase means “I’ll leave it up to you” or essentially a Japanese tasting menu based on what is in season and fresh. This was the first time I tried a meal like this and I was not disappointed. We got a variety of nigiri, sashimi and cooked dishes leaving me stuffed and happy. I would love to have a meal like this in Japan one day. 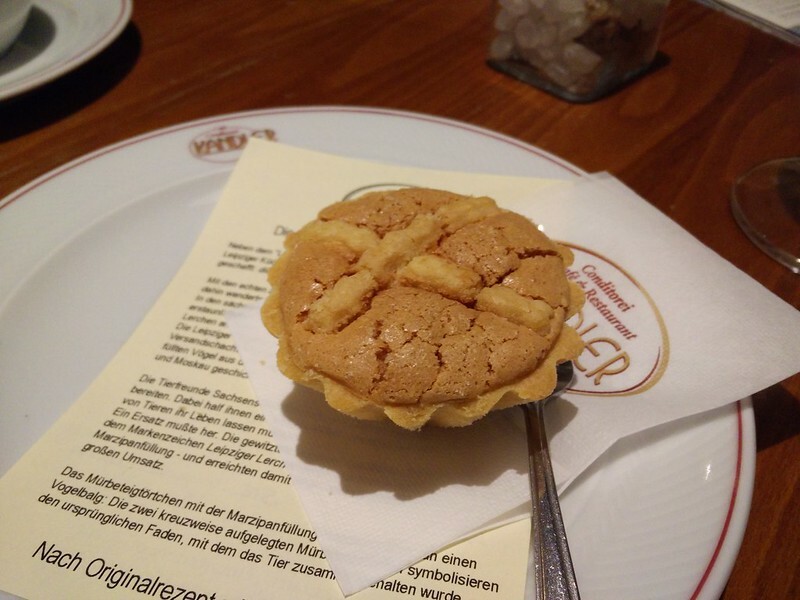 Leipziger Lerche (Leipzig Larks) is a popular dessert found in Leipzig made with shortcrust and filled with almonds and nuts. Other versions can fill it with marzipan. I found it to have a really unique texture. It was easy to bite but had a slight chew. It wasn’t overly sweet, but just enough that you knew it was a dessert. While I shared one with friends, I could have easily eaten a whole one myself. Due to the city’s large Turkish population, I was determined to get some Turkish food while visiting Berlin. A trip that weighed heavily on Asian food, I was finally able to snag some on my last day in the city. 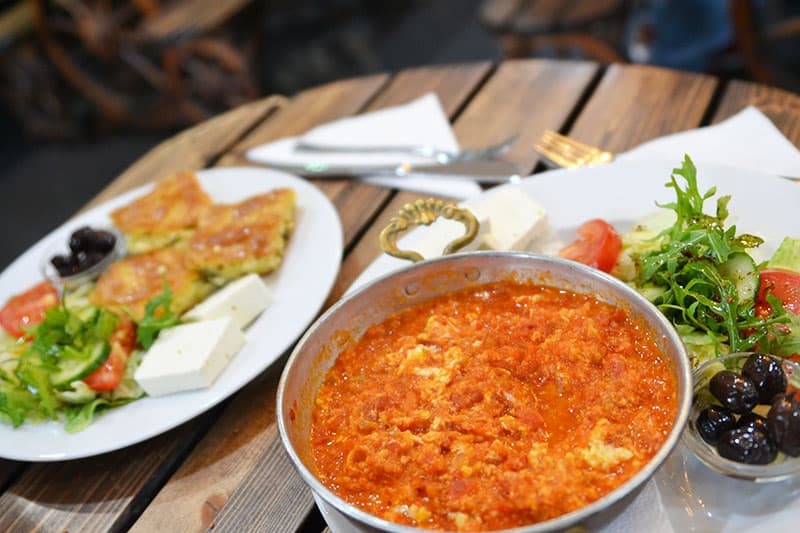 My friend and I ordered two dishes to share: menemen (scrambled eggs with tomatoes, onions and herbs) and su böreğ (water börek), a Turkish börek where the layers of dough are mixed with feta, parsley and oil before being cooked. Both were served with a salad with the most amazing chunk of delicious feta. While both dishes were tasty, I gravitated heavily towards the su böreği. It was full of salty goodness that I just could not get enough. 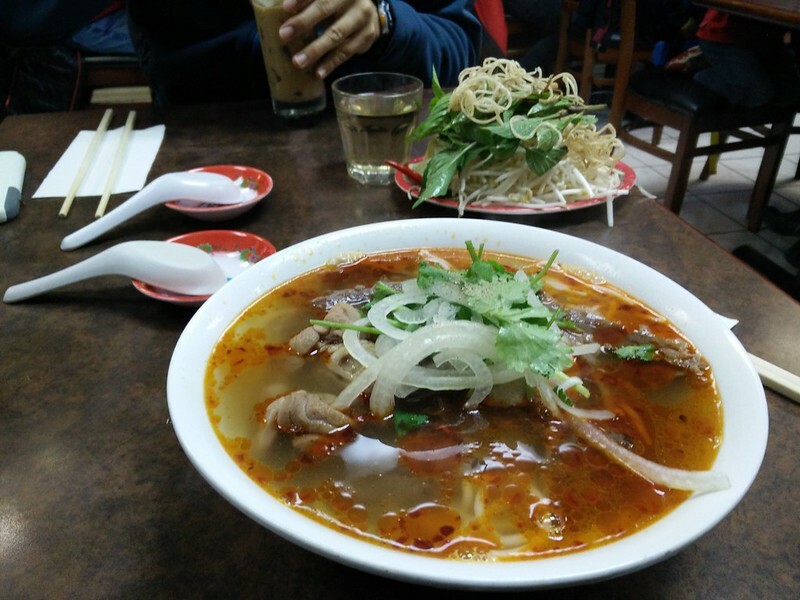 Recently I’ve been on the hunt for the best bowl of bún bò Hue in Vancouver. Different from its more famous cousin of pho, bún bò hails from the city of Hue in central Vietnam. Its broth is a balance of spicy, sour, salty and sweet flavours. It also comes with thicker noodles which I really enjoy. With my visit to Cafe Xu Hue, I think my search in Vancouver is over. I was so blown away by the flavourful broth. I’m so happy that I can go slurp down a bowl of this anytime I want for $10. So there you have it. My favourite food discoveries from my travels and adventures at home in 2016. If you had to pick your favourite meal of the year, what would it be? Oh man, what a wonderful year in food you’ve had! I love those churros in Madrid and also am a big fan of the fabulous meats in Barcelona. Spain always delivers on food! I didn’t get a chance to visit Barcelona on this trip, but I’ll definitely have to go check out all the great meats. I’m so curious about Turkish food – this looks amazing. And I had no idea there was a big Turkish population in Berlin, another reason to make me curious to visit Berlin. It’s quite surprising! Lots of really good Turkish food options in the city. Yummmmm…..a delicious year for sure! That peameal bacon sandwich looks amazing, and as a fellow Canadian, it makes me realize we really do have some amazing foods here if we are willing to look! I love that you highlighted plenty of local places as well as afar. I’m always surprised at the specialties that we can find in our own country. It’s so big and you think you know about it all, but not really. Gotta explore home more! Those churros in Madrid are absolutely delicious! 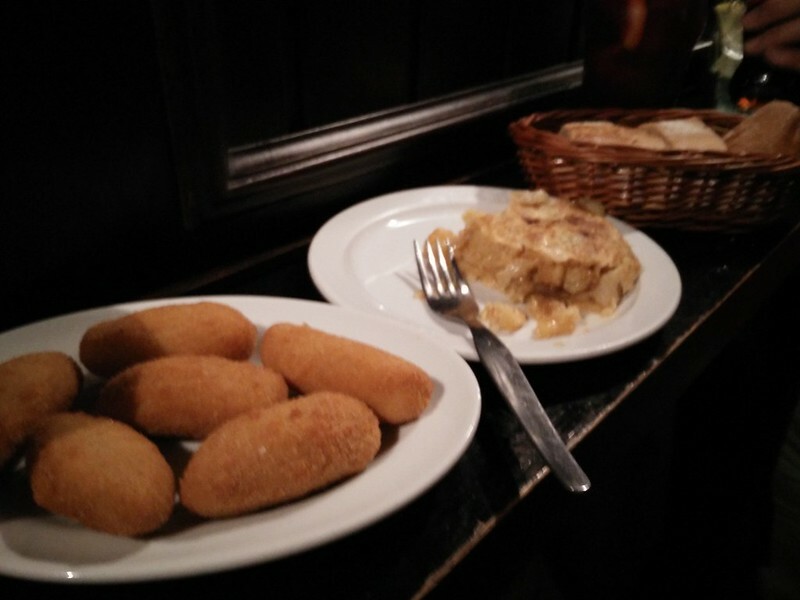 Madrid is a great foodie city. Great post, thanks for sharing 🙂 Now I’m starving, ha. They were so yummy! And agreed, Spain in general is a good place for a tasty plate. 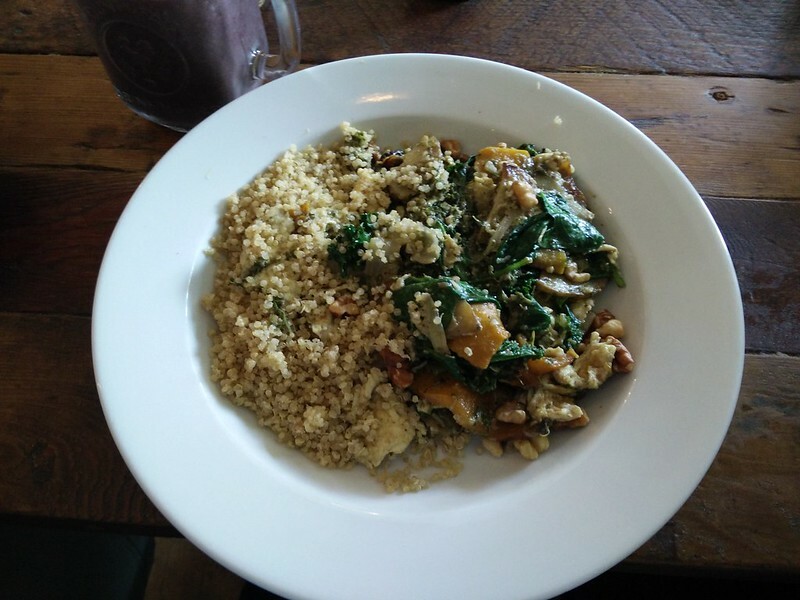 Yum – everything looks amazing! Cheers to such a delicious year! You had me at cones of meat! That’s the stuff dreams are made of! I feel so lucky to live in a place where I can taste the world. Definitely make time to visit the national parks this year!